Throw out all your silverware; a spork has arrived to replace your entire utensil drawer. Don’t question it. Just do it. I’ll wait. 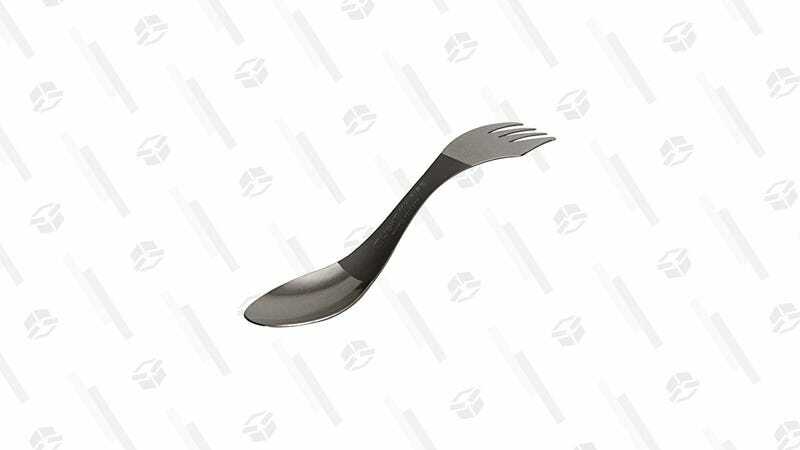 OK, now that you’ve committed, this Light My Fire Titanium Spork is down to $11, but its worth far exceeds its price point. This is no ordinary spork, you see. 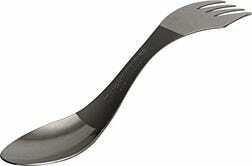 It’s a spork that also features a serrated edge on one fork prong. Meaning it’s also a knife. Meaning it is everything. And even though this spork could probably solve world hunger, lead a political party, and found a tech startup, all while balancing my checkbook, caring for my (currently hypothetical) children, and looking striking in a notoriously difficult to pull-off fedora, let’s just agree as a society to let it handle all things related to food and eating for the time being. Shall we? 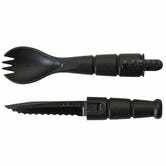 Update: Alternatively, if you are a spork purist (which, fine), there is a separate spork/knife set also on sale right now from Ka-Bar. Cons: It’s not a fork, a spoon, and a knife all rolled into one. Pros: It’s only $5. Shut Up and Take My Money! Futurama Is Only $5 Per Season Right Now.